Jamie Marcellus Nails (born June 3, 1977 in Baxley, Georgia) is a former American football guard of the National Football League. He was drafted by the Buffalo Bills in the fourth round of the 1997 NFL Draft. He played college football at Florida A&M. 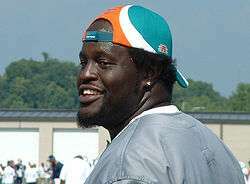 Nails also played for the Miami Dolphins.